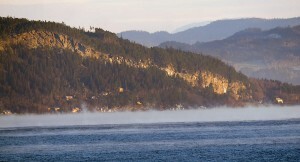 Sea smoke | Edimentals ! 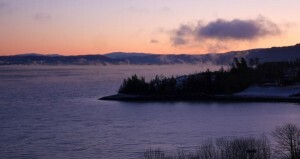 Sea smoke drifting past this morning’s light show and a shot taken at dawn! Sea smoke on the other side of the fjord where it’s significantly colder today (about -14C) than here in Malvik where it’s only -8C, the air warmed up by passing over the fjord! 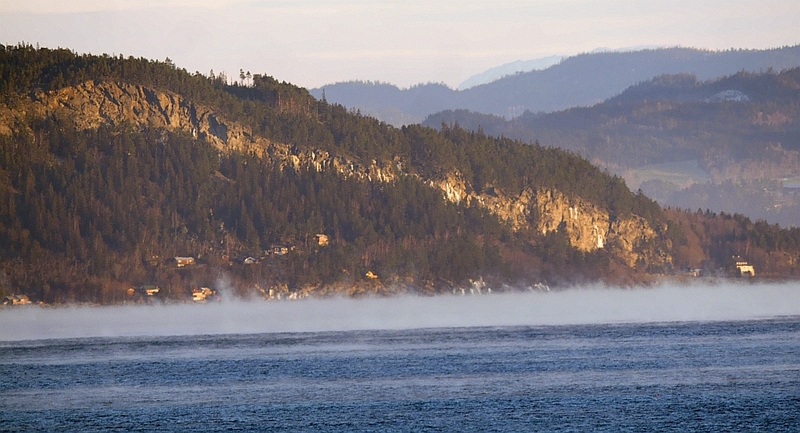 In the video I zoom into Hell where the fjord smoke is drifting this morning, a sure sign that the temperature is under -10C! 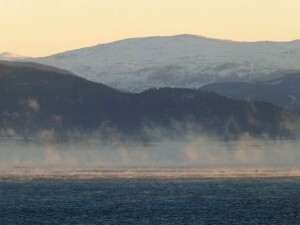 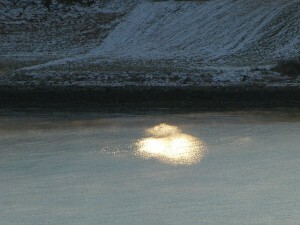 There was some sea smoke on the fjord this morning as the temperature dropped below -10C in the night! Fjord sea smoke this morning. 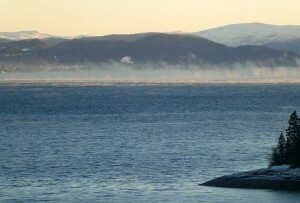 It only appears when it’s cold here (it’s called steam fog if it’s over fresh water). 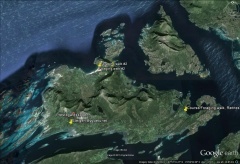 Map showing the course venue, first foraging trip, the Engeløya Bygdetun and the second foraging trip on the north side of the island!